Thinking about where to spend your retirement years? You’ve probably checked a few lists lately and considered your preferences. If going abroad isn’t an option, you’ll love what we have here in this article. Forget flying international and check out these amazing U.S. destinations. Recently, the personal finance website called bankrate.com released a setlist of the best places in the U.S. to retire in. It named South Dakota as the top destination for retirees. On the other hand, Business Insider set out its own list and came up with Florida as the top U.S state for those wanting to enjoy their retirement. For Bankrate, it looked to warmer places over the colder areas as more conducive for retirement destinations. Its writers were under the assumption that, being elderly, retirees tend to prefer the warm weather than harsh winters. However, Bankrate’s senior economic analyst Mark Hamrick admitted not all retirees want the continuous sunshine, preferring to wear a jacket and watch the leaves change from time to time. But unfortunately, packing up and moving to another state may not be an option that’s readily available, possible, or desirable for many, he added. With moving to another place comes unfamiliarity. “There’s a risk moving to a place you’re not familiar with, or don’t have well ensconced friends and business relationships,” Mr. Hamrick observed. Sure, you might feel overwhelmed with the idea of having higher costs of living should you decide to spend your golden years in the States. But leaving the U.S. to spend your retirement elsewhere may mean leaving family and friends behind. Do you know anyone from the place you want to go? Are you familiar with the community’s culture or way of life? Have you found a suitable home to live in that area? “Make sure you won’t have a sense of remorse about what you’re leaving behind,” he added. 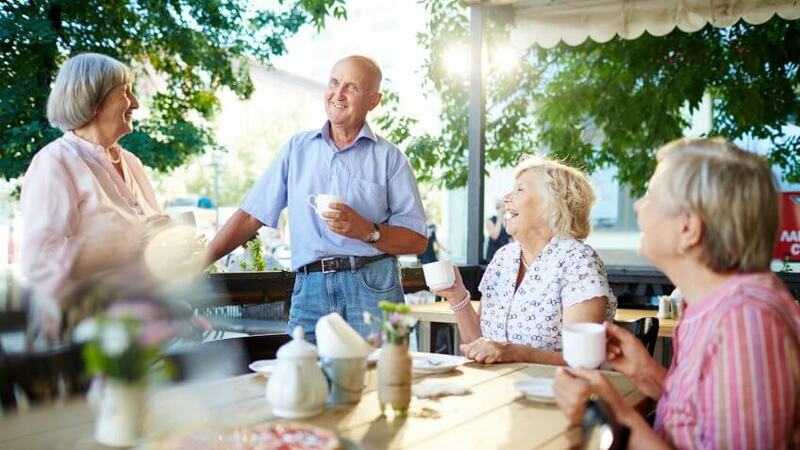 But if after careful thought and consideration, you still decided to make a move to any of the U.S. states, these rankings can help you pick the ideal place on where to spend your golden years. For this list, Bankrate took several factors into account. Among them are cost of living, taxation rates, quality of health care, prevailing weather patterns, crime rate, and overall well-being of the locality. It’s good to have a discussion about your financial goals in relation to your retirement plants. It can be a productive exercise, Mr. Hamrick said. To help you achieve your objectives, work backward. Set what age do you plan to retire? Then put in your other specific goals and determine what steps are necessary to reach them. Include in your plans any faulty assumptions, overly flexible theories, and allowance for failures. While your retirement age is generally not an exact number, it’s good to set a prospective number. Use that presumptive age to measure your progress toward your ultimate goal of having a happy and healthy retirement. For more retirement and financial tips, get in touch with us.